B 90 R Classic Bp Pack 11613070 https://www.kaercher.com/hk/professional/floor-scrubbers-scrubber-dryers/scrubber-driers/ride-on-scrubber-driers/b-90-r-classic-bp-pack-11613070.html The B 90 R Classic Bp Pack battery-powered ride-on scrubber dryer is compact, versatile, features an extended tank capacity and variable working widths (55-75 cm). 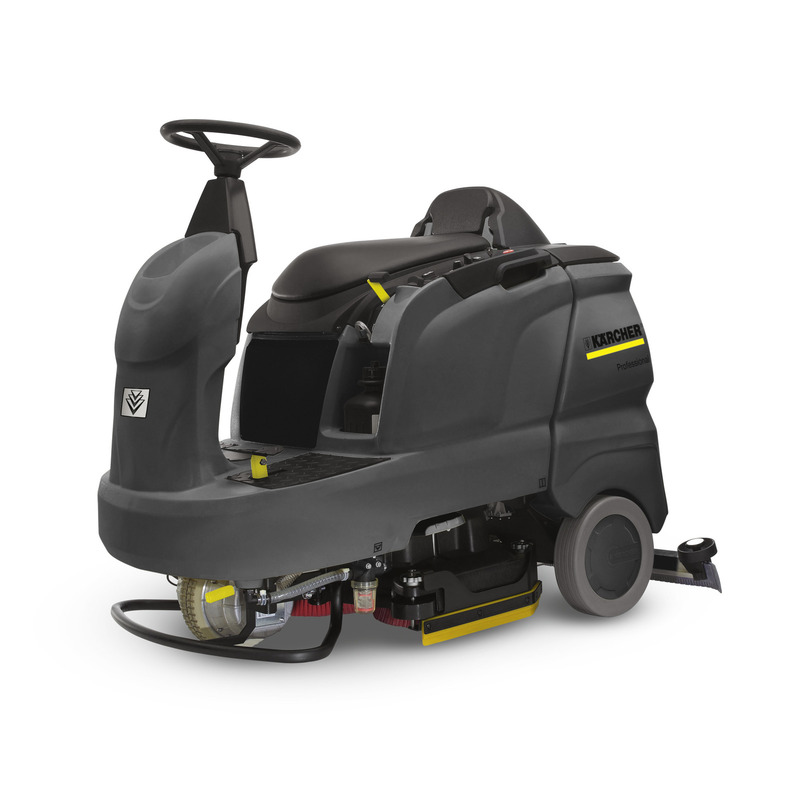 The B 90 R Classic Bp Pack battery-powered ride-on scrubber dryer is compact, versatile, features an extended tank capacity and variable working widths (55-75 cm). The manoeuvrable alternative to any large walk-behind machine! The B 90 R Classic Bp Pack ride-on scrubber dryer features the new brush head generation. Roller and disc brush heads can be used in different working widths (55-75 cm). The brushes are driven by a star-wheel mechanism. With a turning circle of only 1.6 m, this machine is very flexible and offers excellent manoeuvrability. This machine also features an extended tank capacity and is easy to fill with fresh water. Compact for easy storage and transport, for example in lifts. Openings in the battery compartment ensure adequate ventilation also during long periods of use. An additional flat pleated filter protects the turbine against corrosion. Thanks to its very short and narrow construction style, the machine is very agile and easy to manoeuver despite large water volumes. The 90° steering system allows you to turn on the spot. A low centre of gravity ensures excellent road adherence. The basic functions are controlled with the EASY switch. Operating hours can be viewed on the display. Additionally, the roller brushes ensure that water and therefore also cleaning agent are saved. Large compartment for a large battery capacity. Maintenance-free gel batteries in the pack variants. Two-level turbo power saves energy in the WHISPER setting. If required, the brush head can be replaced quickly with no need for tools. The rollers on the R head can be changed in next to no time. The brushes or pad drive boards on the D head are discarded using the foot pedal. To allow the optional use of larger batteries - for even more service. For protecting the turbine against premature damage. Extremely agile and easy to manoeuver (despite its large capacity).